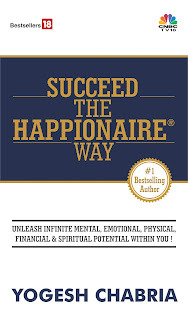 Yogesh Chabria - The Happionaire ​Blog - Best Motivational Speakers In India - Inspiration, Success: What Happens When Oil Prices Fall? What Happens When Oil Prices Fall? When oil prices a few people benefit and others don't. However, how real is the benefit of falling oil prices? Let us say you are living in Russia or Iran, your currency would have depreciated because of the oil prices. It would be more expensive for you to import goods from other countries and in case you plan to take a holiday outside, things would be more expensive as your currency has lost value. Your government would be facing challenges in terms of budgets which were dependent on oil revenues. Now let us say you were living in France, China or India, or any other country that imported oil from the Middle East or Russia. Well on one hand fuel prices might have reduced marginally at the petrol pumps. The country's import bill on oil might have gone down as oil prices have almost halved compared to last year, but what else happens in the real sense? If oil prices fall too much, it isn't all that great. There are several challenges that crop up. For instance, let us say you were an exporter selling to Russia or Iran, what happens to you? If your exports go down, what happens to people working for you? What happens to your people when they have less money, will they spend less on food, clothes, eating out, shopping? In turn what is the effect of that on your local economy? People in these Oil Rich countries will now stop spending much money. I am sure Russian tourists to Goa will reduce this year, in turn it will affect the local economy of Goa. Hotels, travel agents, restaurants who depend on Russians will find it challenging. What happens to the local Goan economy then? They will have to try and find others to come in. When we think about these linkages, it makes for interesting learnings and observations. When commodity prices crash too much, it doesn't necessarily have a positive effect on the global economy. People start spending less and it leads to a cycle where everyone becomes cautious. It is like what happened in Japan, when interest rates went down too much, the economy entered depression. In the midst of all this it also leads to opportunities the Russians and Iranians would be more aggressive to do business. Besides petroleum products, they would be eager to grow other sectors. People in the tourism sector in Goa would be hungry for solutions to enhance the number of lost tourists from Russia. What opportunities can be there? If you can crack it and see the future, you are sitting on a pot of Gold! I would be happy to hear your ideas and explore the wonderful and exciting world of business! P.S. : Anyone working in the Paper Business? Needed some advice on a couple of things! Drop me a mail with a brief write up about what you do. Do check out the trailer for Take It Easy - It is good friend's movie! Excellent read Yogesh, enjoyed all the connections. Lots of ideas coming up on what can be done.